Website design & build for local restaurant chain. 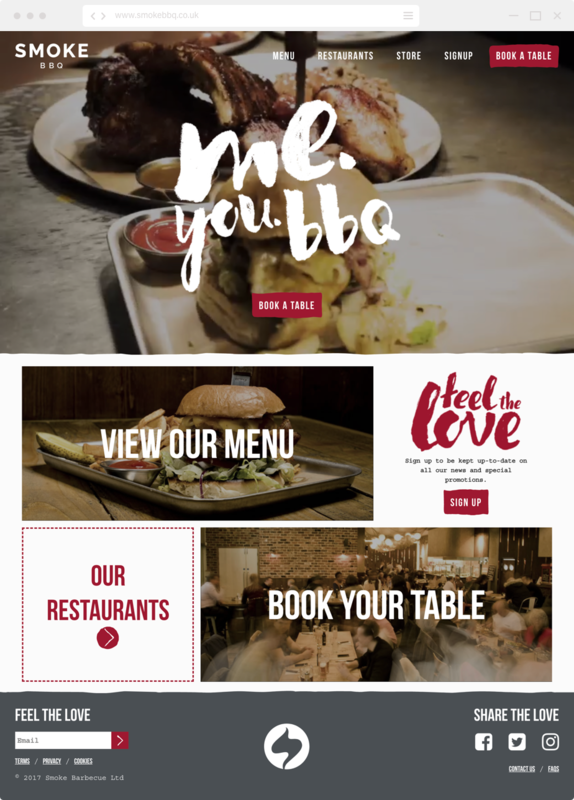 New website for yummy restaurant chain. 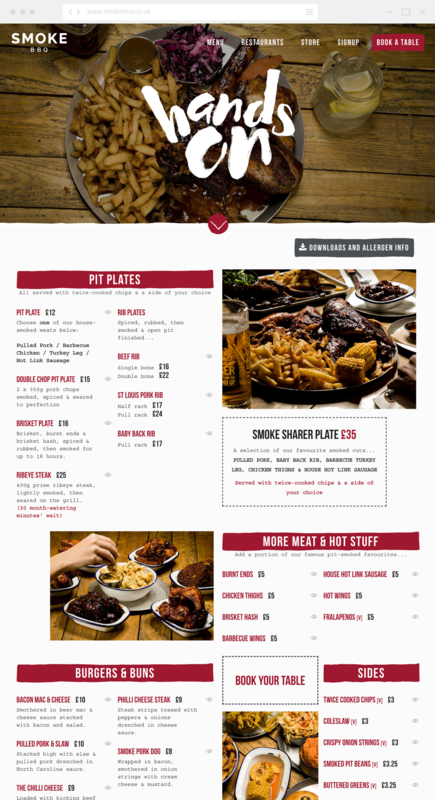 At the end of 2016 I helped relaunch a new website for Smoke BBQ, a local restaurant in Sheffield which has grown further afield to Leeds and Glasgow. If you haven’t been there yet, you should go! It was a fun project and a collaborative approach, we regularly came together to sketch out ideas and discuss potential solutions. Visual concepts weren’t created as I choose to build straight into browser. This helped the client to understand and visualise the detail in functionality, and we were working to a very tight deadline with Christmas marketing activities launching concurrently. The menu page was and enjoyable challenge, which was designed to look similar to the printed menu found in the restaurant. It turned out well, and looks great on all devices.